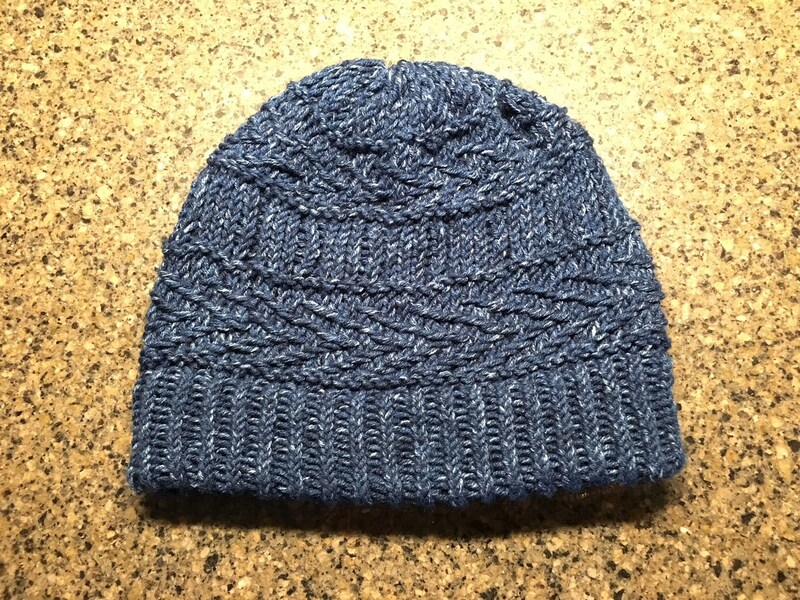 Knit yourself a unique hat that makes you look like an expert loom knitter, but only requires the skill of an advanced beginner. 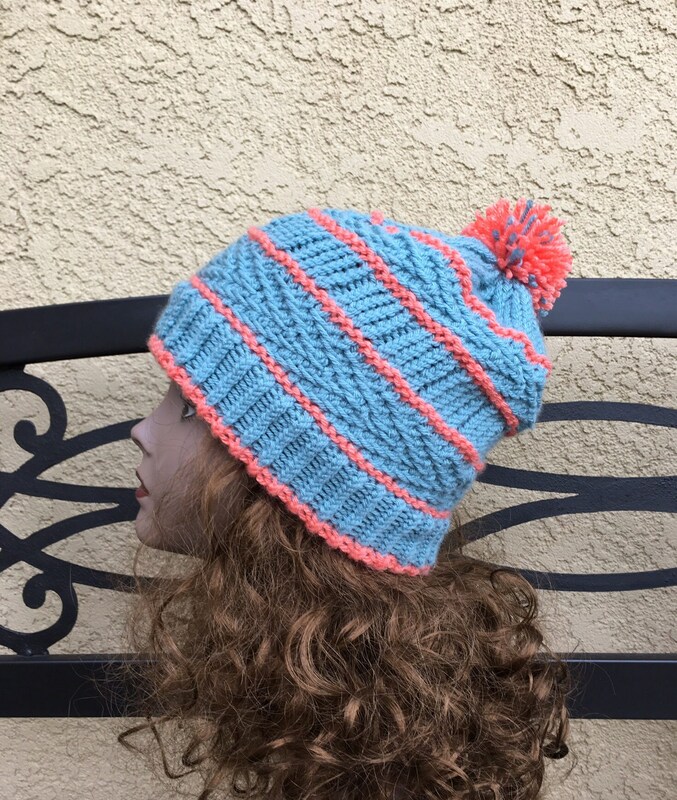 It’s as fun to knit as it is to wear! 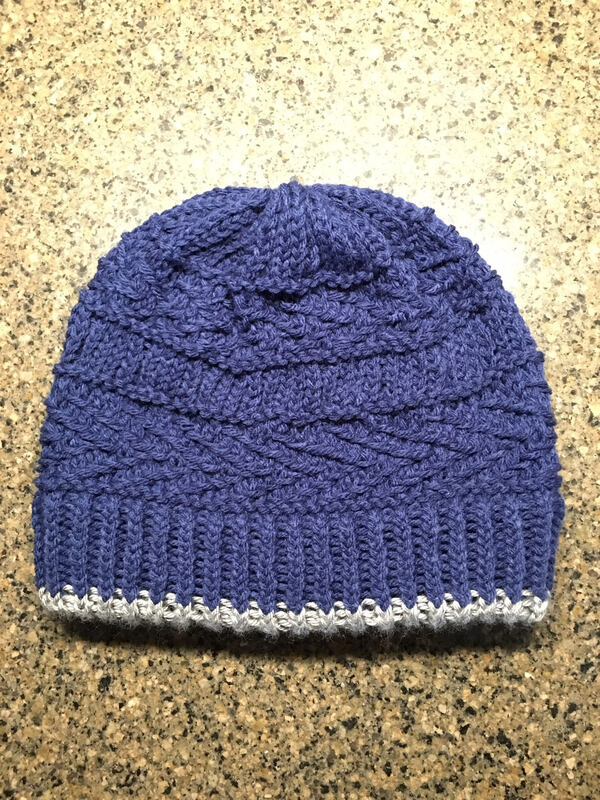 The transverse herringbone stitch pattern is created with a “Slip 1, Working Yarn in Front” stitch and is the most difficult section of this hat. But if you watch my hack at https://youtu.be/7dbmowp8pSs , you’ll see that it really is pretty quick and pretty simple to do. 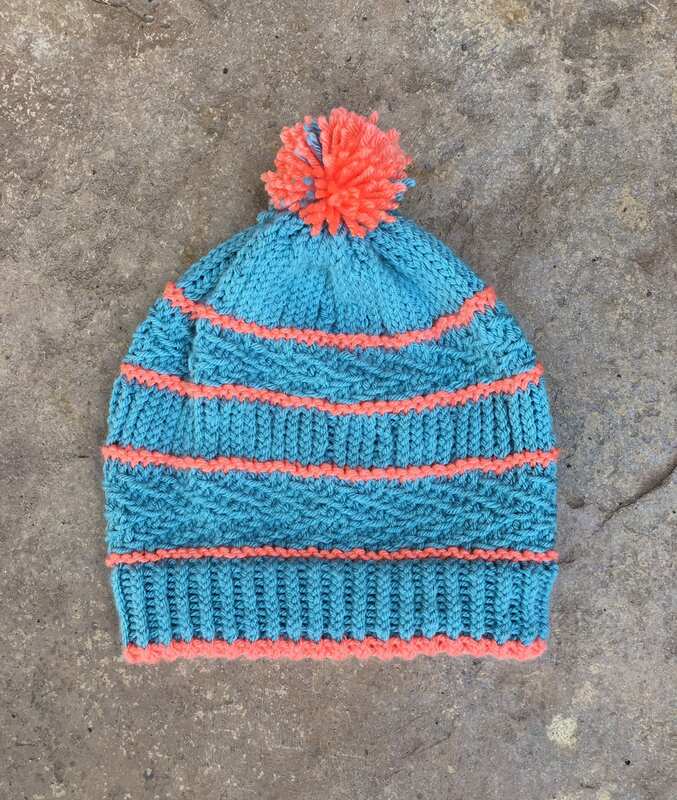 The Boulder Beanie is knit on any 3/8” gauge round loom (like the All N One, Knitting Board’s Hat Loom, or Knitting Board’s new premium round loom) and uses approximately 200 yards of a worsted weight yarn (180 yard of main color and 20 yards of contrasting color). 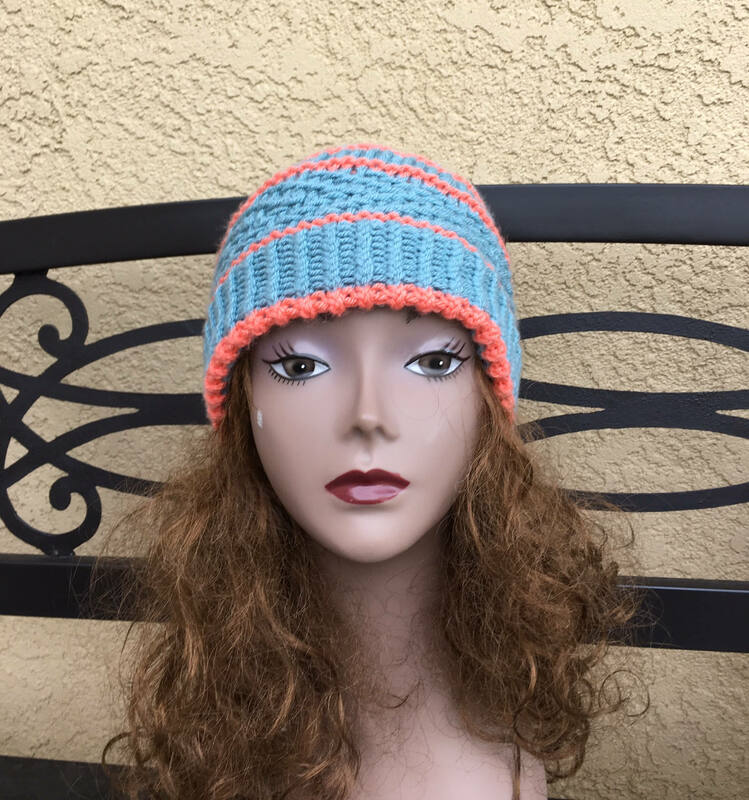 The sample was knit with Hobby Lobby’s I Love this yarn in the Sea Blue colorway for the main color and the Mango colorway for the contrast. 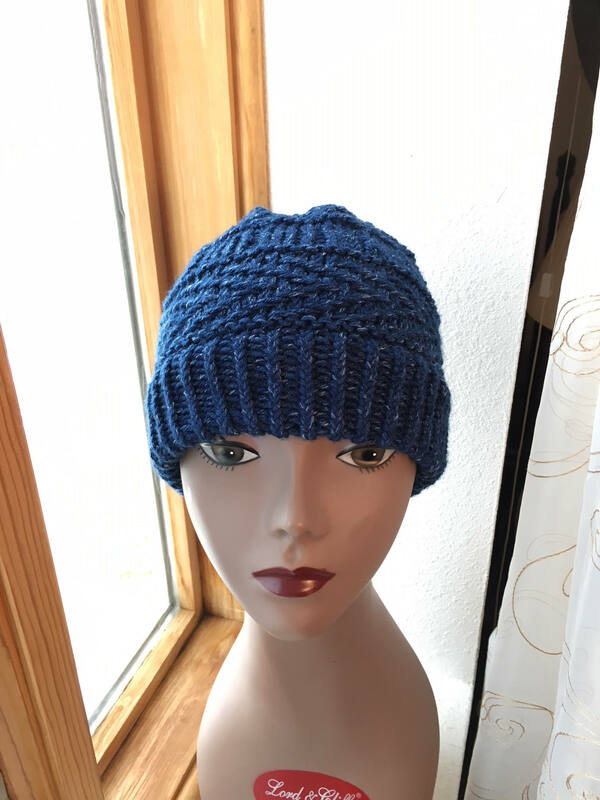 This is a self-contained written pattern (meaning you have everything in the pattern itself to knit the beanie….all steps are written out and explained) including charts for the transverse herringbone pattern, if you prefer to knit from a chart. 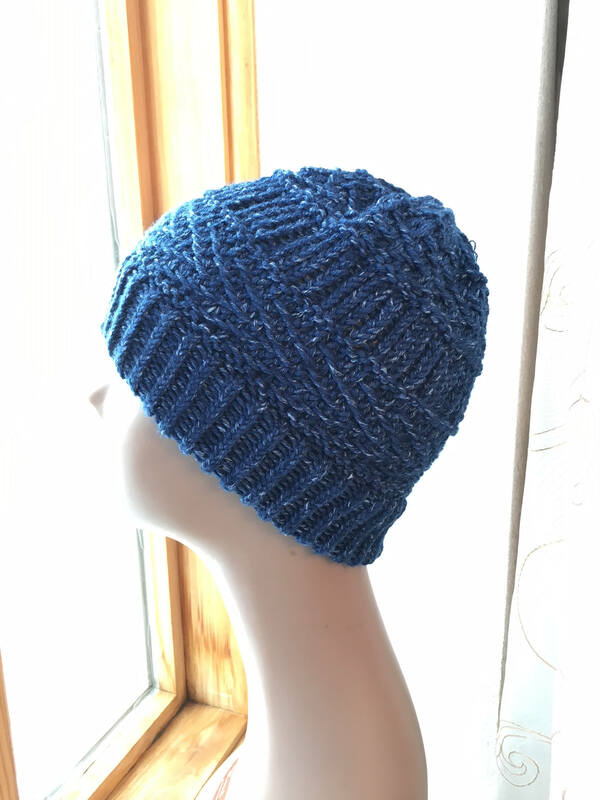 There are also links to several video tutorials to give you hacks (technique shortcuts) to speed up your knitting tremendously! 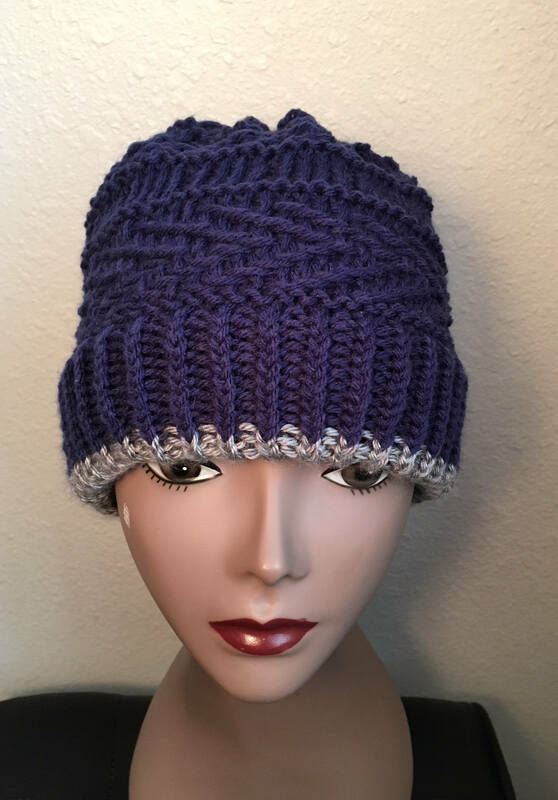 Definitely worth watching, but not necessary to knit the beanie. 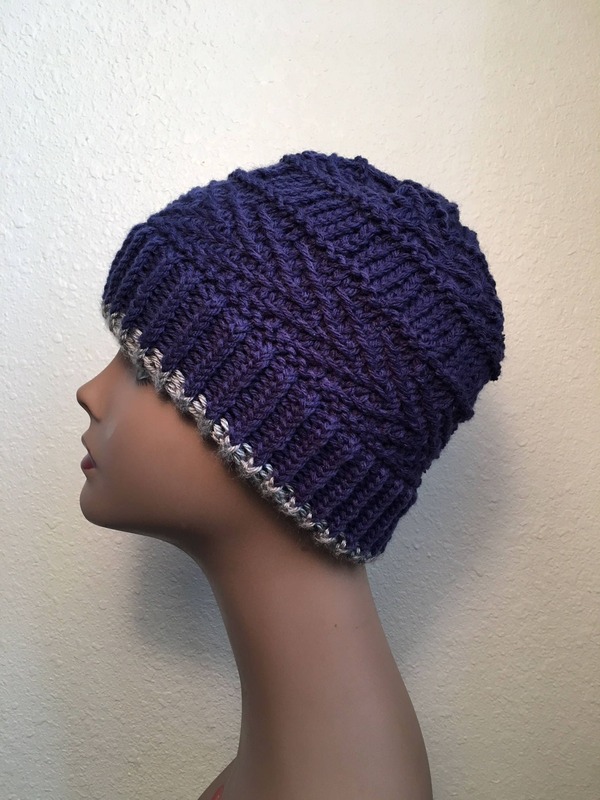 The pattern includes instructions for making a slouchy hat and a head-fitting beanie and is suitable for an advanced beginner.